Chechen Kazbek Dukuzov, a suspect in the murder of the editor of Forbes Russia Paul Khlebnikov was found imprisoned in Dubai. Russian law enforcement agencies have located a man they believe to be Kazbek Dukuzov, who is a suspect in the murder of the editor of Forbes Russia, Paul Klebnikov. Sources believe no extradition request has been made yet, and authorities are still in the process of conclusively identifying the man believed to be Dukuzov. The United States recently released the Magnitsky List containing the names of Russian citizens banned from entering the U.S. and whose assets there will be frozen. The list rather unexpectedly included the name of Kazbek Dukuzov, who had no relation whatsoever to the events surrounding the death of Russian lawyer Sergei Magnitsky. However, an international arrest warrant has been out on Dukuzov in connection with the murder in Moscow of American citizen Paul Klebnikov, who was the editor-in-chief of the Russian edition of Forbes magazine. 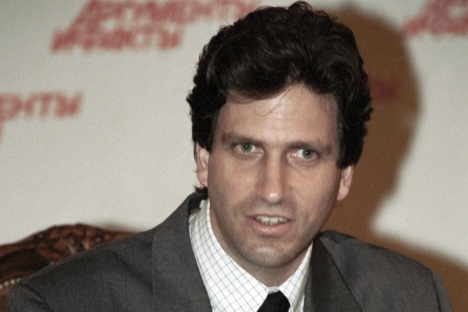 Paul Khlebnikov was shot and killed on July 9, 2004, as he exited the Forbes office in Moscow. Investigators still believe Dukuzov was the killer. When a Rosbalt correspondent asked a source in law enforcement about Dukuzov’s whereabouts, the answer was: “We know where he is, and he is not going anywhere.” The source added that a tip had been received several years ago, identifying Dukuzov as living in the United Arab Emirates on a forged passport with a different first and last name and year of birth. Operatives learned recently that Dukuzov was arrested by the Dubai police in 2011 and sentenced under a different name to 10 years in prison. The source at Rosbalt was unable to comment on the details of the investigation that resulted in such a long prison term. Dukuzov was apprehended in Minsk at the end of 2004 and extradited to Russia. A jury fully acquitted him of Khlebnikov's murder at a trial during the summer of 2006, and he was released thereafter. When the Supreme Court overturned the acquittal in November 2006, Dukuzov was already on the run. First published in Russian in the Rosbalt information agency.